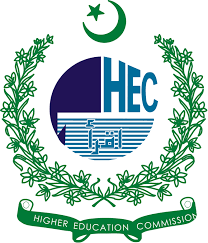 HEC announced the Sri Lanka Institute of Information Technology (SLIIT) HEC scholarship 2018. It is informed that Sri Lanka Institute of Information Technology offers the degrees in the programs including Information Technology, Engineering, Business, Quantity Surveying and Architecture. This SAARC scholarship for Pakistani students is provided with the information with the detail of the course and primary application is shown below. The prospective candidates are asked to submit the application forms duly completed with other supporting documents to Sri Lanka High Commission, Islamabad prior to 5th October 2018. The candidates need to download the application forms and fill it by hand and attach the necessary documents and submit this application forms with the documents to Sri Lanka High Commission, Islamabad. The candidates need to read the complete details below. SLIIT offers the undergraduate Sri Lanka scholarships for Pakistani students and Pakistan is one of the countries in South Asian region. The scholarship will cover the tuition fee of program, which is offered at SLIIT and it covers the full tuition fee for entire duration of the program. The students must attach the following documents with the application form and they must read the HEC announcement Sri Lanka SLIT scholarships 2018. Copy of education certificates & transcripts in proof of successful completion of the degree or equivalent qualification. Copy of passport Bio page. The Duration of the Scholarship for bachelor will be 3 or 4 Years. Monthly Stipend of 150$ to 220$ will be given to students to cover their expenses in Sri Lanka. The Scholarship will not cover meals, traveling, Visa Expenses and other personal expenses. Following programs will be offered to the candidates to complete their undergraduate bachelors degree. Degree Awarded: Electrical & Electronic Engineering, Mechanical Engineering, Civil Engineering & Material Engineering. The candidates will send their application forma for Sri Lanka Institute of Information Technology (SLIIT) HEC scholarship 2018 till 5th October 2018.